Through this Blog, i can help you promote your online/offline business, start-up seminar programs, events etc to my targeted blog readers and you will get a good value for your money. I can publish a sponsored post about your website, blog, start up business OR add your website address into an existing blog post as a sponsor of the post. For FREE, I will promote the post on my Social networks as well. Read more about sponsored posts here. Kindly mail me to get the current ad rates. I will create the ad section for you once i confirm your payment. ==> If you opt for the 728 x 90 ad size, I will also promote you via a blog post, on Facebook and on Twitter. You also get FREE ad slot on the mobile version. 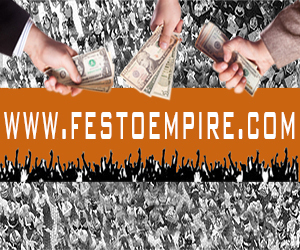 Check http://www.festoempire.com/p/bank-details_25.html for my bank account details. You can also pay via Paypal, Western Union, VoguePay, Perfect Money etc. I can help you host the banner for FREE. Hence, you wont have to worry about bandwidth on your own server. Your ad runs on ALL Pages of the blog, including the homepage. Alternatively, you can use Google Adwords to advertise your product and service on my blog by targeting my blog, as explained in this post. NB : I DO NOT refund advert payments once your ad starts running!! !